Our HD Digital 10kW/64nm birdfinder radar features a high performance 4-foot open array scanner with compact pedestal design, ideal for smaller go-fast centre console sportfishing vessels and powerboats with limited top space. Experience unparalleled situational awareness, with exceptional detection of small or distant targets and minimised screen-clutter. See radar targets – including other vessels, structures, and weather – directly overlaid onto your navigational charts in real time. Improve your situational awareness, and be confident your navigational decisions are always based on the most current and complete information available. Chart overlay is MFD dependent, and requires an optional high-speed heading sensor. Automatic Harbour and Offshore modes provide tune, gain and sea clutter adjustments to suit the conditions. While easy manual override ensures you’re always the one in control, the TXL-10S-4 provides hands-off operation that even the most experienced radar user can have confidence in. Suitable for both recreational and non-IMO commercial use, the TXL-10S-4 is built to commercial standards with long-life magnetron, brushless geared DC motor, and IPX6 waterproofing. This array is designed to withstand sustained wind loads up to 100 knots, while maintaining a minimum 20RPM rotation for reliable situation updates whatever the conditions. The TXL-10S-4 meets all current and upcoming Low Emission standards for radar. With “radiation safe” distance within the turning circle of the antenna, this HD Digital Radar can be operated almost anywhere. View and control your radar directly from your iPad or Android tablet over Wi-Fi, with the optional Simrad GoFree wireless module. Mirror any screen on your Simrad MFD, and set radar guard zones, from anywhere on board. Available with NSS, NSS evo2, and NSO evo2 MFD systems only. 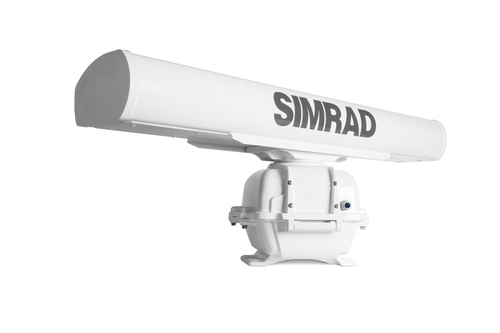 Our HD Digital Radar connects to any Simrad NSS, NSE or NSO multifunction display system via high-capacity Ethernet, with bulkhead mounted interface box. Ethernet allows easy connection to multiple MFDs, and cable runs up to 100m for installation on vessels of any size or bridge configuration.